National Lighthouse Day Shines In Cape May -Lighthouses are curious structures. When taking in the mysterious, almost gothic implications of the tall buildings, jutting out from shorelines to shine light across the open waters, you can very easily forget these are functional and very important structures, even today in our digital age. Back before the satellites, however, they were a necessity. 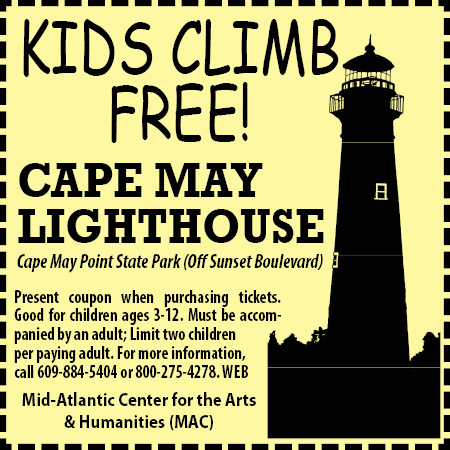 At Cape May Lighthouse, on Tuesday, you have the opportunity to learn just how needed they were and still are. The country’s National Lighthouse Celebration at the Cape May Lighthouse takes place from 9 a.m. to 2 p.m. and promises education, and even a bit of historical romance, with your trip to Cape May County. Congress designated National Lighthouse Day on Aug. 7, 1989, marking the 200th anniversary of the signing of the Lighthouse Act and the commissioning of the first federal lighthouse in the United States. Lighthouses have played in the history of the United States in many ways, from the earliest times where ocean navigation was crucial and unavoidable, and on through the industrialization and ages of wealth supported by the transport of goods to other countries. But more than that storied history, National Lighthouse Day puts these structures front-and-center to encourage continued restoration efforts for existing lighthouses, many of which had fallen into disrepair. It’s hard to disagree, so we have chosen Cape May Lighthouse and National Lighthouse Day for this installment of Day Tripper, a weekly look at destinations that are out of town, but in reach, and worth the trip. Why it’s Worth the Trip: Experience the mystery and romance of lighthouses by checking out one of our nation’s oldest. Meet the Cape May Lighthouse Keepers, get your free sample of Rita’s water ice and browse 12 crafts vendors who are setting up shop on the grounds and selling one-of-a-kind handmade goods including jewelry, photography, nautical and nature-themed merchandise. Meet representatives and critters from the Cape May County Zoo and Nature Center of Cape May and learn about safety on the sea with members of the Coast Guard Auxiliary. How to Get There from Here: Click “get directions” on the map provided above and type in your location, and then click the “get directions” button. You’ll Probably Get Hungry: If you’re looking for “experience dining,” you’re going to enjoy Cape May. Try the Mad Batter restaurant & bar, elegant Italian fare at Godmother’s Restaurant, classy casual at Black Duck on Sunset, Pilot House, ocean views from (naturally) the Oceanview Restaurant, or for those who feel anytime is a good time for breakfast (and it always is! ), get a hot stack at Uncle Bill’s Pancake House. While You’re In the Area: The Lighthouse is inside Cape May Park, but the entire area is virtually a beachfront. What’s more perfect in the summertime? Plus, if you want to try a few other regional ideas, check out the website for Cape May’s Department of Tourism, Recreation and Civic Affairs. Maybe you want to camp out in the area that week–reserve your place at the Depot Travel Park. Spend some time in historic Cold Spring Village, or some money atSunset Beach Gifts, Mini Golf & Grille, enjoy fresh groceries from The Red Store, or stroll Washington Street Mall. When you get tired of walking, why not ride in a horse-drawn carriage from the Cape May Carriage Company? The historic Cape May Lighthouse is hosting a day of family friendly activities and a crafts show at the base of the lighthouse, in conjunction with National Lighthouse Day. The Cape May Lighthouse particularly has been an aid to navigation since 1859 and one of the oldest continually operating lighthouses in the United States. This entry was posted in Coupons on April 9, 2013 by Ryan Reclaim.